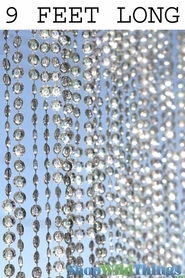 This awesome strand of high quality crystal clear acrylic beads is perfect for decorating a wedding tree. You can also make your own curtains, string them along as garlands, the possibilities are endless! 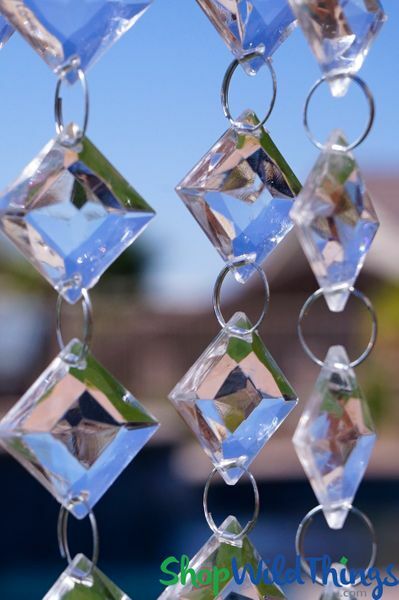 Each diagonally hung bead is 3/4" square AND is faceted all over the surface so that the light will catch it from every angle. Each bead is attached to the next with jump rings, making it very easy to remove and add sections of length to fit your project perfectly. Very easy to use - connect and disconnect. I finished my project very quickly. ProsMany choices to chose from. Very happy with the product. Made my tree centerpiece look beautiful & sparkly! ProsGood price - great shipping. Will definetly order from here again - Great stock of multiple items! Love these. All of your merchandise is such good quality I know I can't go wrong ordering from you. Love your site also! Beautiful beads. My son is getting married outdoors at 4 pm and needed something sparkly for the wedding area. 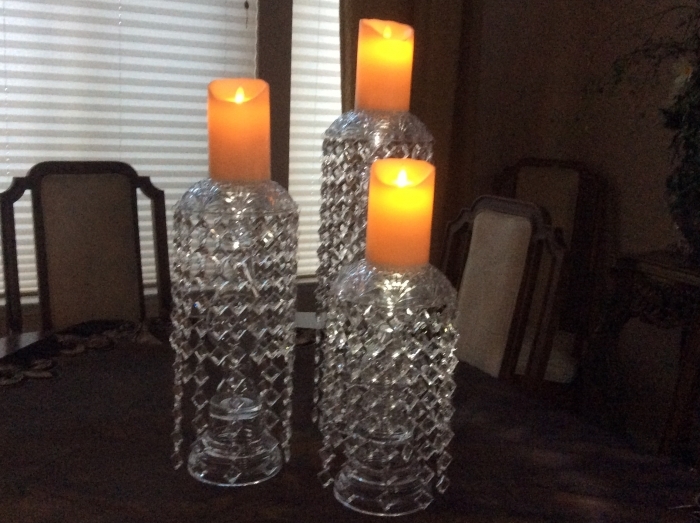 Lights did not work, but these pick up the sunshine and are perfect. Excellent quality.. perfect size .. I used these 30' garland to make a chandelier... worked out great.